The Viennese Cuisine, which has been around for 1000 years, is a result of the pleasure-loving lifestyle of the Viennese people, who just love to eat and therefor cook well. Spend a week watching famous Viennese chefs at work, then trying your hand at it; indulging in Viennese food and Viennese wines. 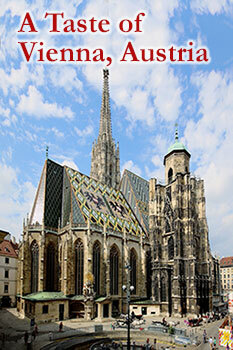 Click here to begin your Herzerl Tour's culinary experience in Vienna, the crown jewel of Austrian cuisine. The Venetian cuisine, especially that in the city of Venice, is full of traditional dishes that are mostly made using all types of fresh fish and vegetables. 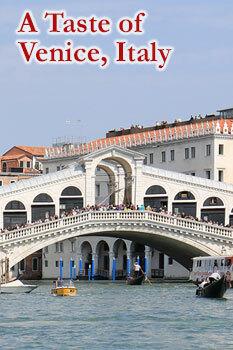 Click here to begin your Herzerl Tour's culinary experience in Venice, the jewel of the Veneto in Northern Italy.